With the evolving job market trends, we are currently seeing an increase in shorter job stints, we are already witnessing an increasing trend of replacement hiring. Today, millennials constitute a substantial share of the workforce. The job market is now attuning to their needs and we are witnessing a sweeping change in the way corporates functions. Hiring trends, work cultures, HR policies are all being shaped to accommodate the millennial workforce. One such trend is ‘job-hopping’, which has been on a rise because millennials don’t subscribe to the idea of staying in one company for decades and corporates are adjusting to this new trend. However, not many HR managers subscribe to the idea when it comes to positions at the mid and senior level. Candidates whose resume show a couple of ‘job hops’ in quick succession are scrutinized with suspicion. There is misconception around candidates who jump jobs frequently, it’s assumed that they are impulsive in decision making. There’s too much debate and contrasting views involved in hiring such a candidate. There are times when hiring managers simply refuse to even consider such a candidate for an interview. This brings me to think whether short stints on a candidate’s resume reflect his ability, skills or caliber? Do short job stints mean the candidate is not able to deliver or he/she lack skills? Do longer tenures affirm that the candidate is good at their job or are reliable or an asset to the company? In the West, people are hired on a contractual basis, even at the mid and senior level. Some for 2 years, 18 months or even 4 months. Does that mean these candidates are not proficient or do not possess average skills? Or have not contributed to their roles? Uber was at the bottom of the list, with a short average employee tenure of just 1.8 years. At Dropbox, the average employee stays for 2.1 years. At Netflix employees stay for an average of 3.1 years, to be exact. An average employee tenure at Alphabet, the parent company of Google, is 3.2 year. Does this mean that these individuals won’t get hired because they chose to move jobs too soon? Another research shows that one tends to grow 18 to 20% more as an external hire as compared to growing within the same organization or due to a promotion. An individual could be part of an organization for 6 -7 years but may not have moved roles or on the other hand, there could be an individual who has moved 3 jobs in 2 years but has had a great career growth trajectory, which one would you want to consider for the role you are hiring? Notion that job hoppers are not as efficient is fast becoming antiquated. The truth is employees change jobs because they are offered better opportunities. They are ambitious and hence choose roles that allow them to continuously learn, develop, and advance in their careers. They build skills faster when they change companies because of the learning curve. These pointers are indicators of good talent. One needs to think, and wonder if stability is directly proportionate to competency? In sectors where there is a dearth for good talent with niche skill sets; its best to hire good candidates despite their frequent job switches. In such scenarios, companies should utilize their diverse skill set and focus on their knowledge gaps to transform them into better leaders for their company’s benefit. Managers should focus on hiring for skills, attitude, competency, productivity, efficiency rather than job stability. Candidates will continue looking for career opportunities that are exciting, competitive and not just sustaining. In a competitive and candidate-driven market, they are willing to experiment and take the risk for roles that challenge them. As the years go by shorter job stints or “job hopping” as we know it, will no longer be considered as forbidden. The stigma around it will quickly become a thing of the past and the sooner we accept this the better talent we hire. 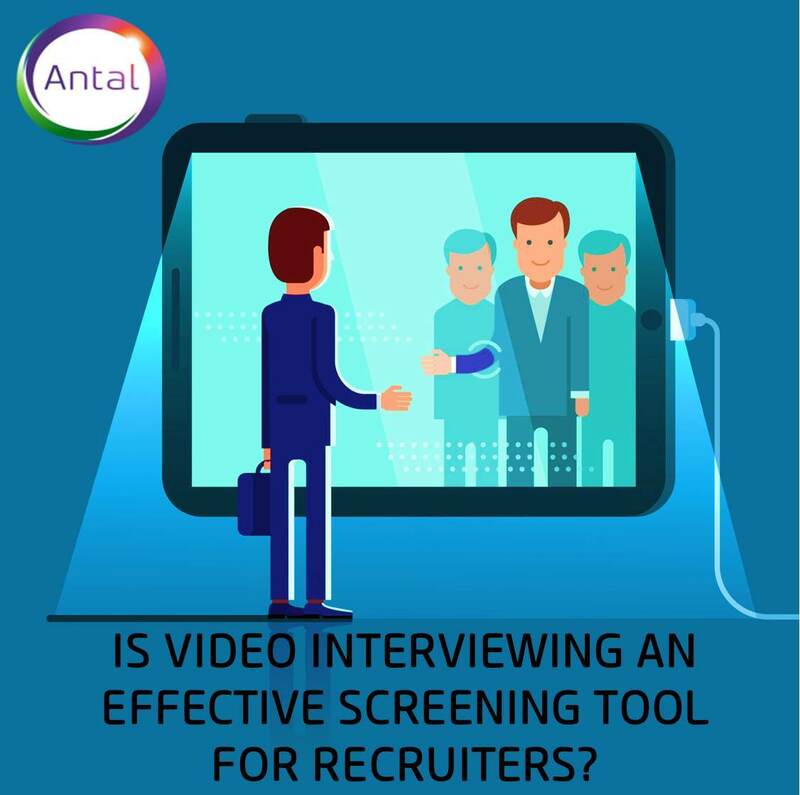 Is video interviewing an effective screening tool for recruiters? In the war for talent, accurate assessments of candidates and positive evaluations of interviewers are essential. Candidates who evaluate their interviewers more positively are more likely to accept a job offer. 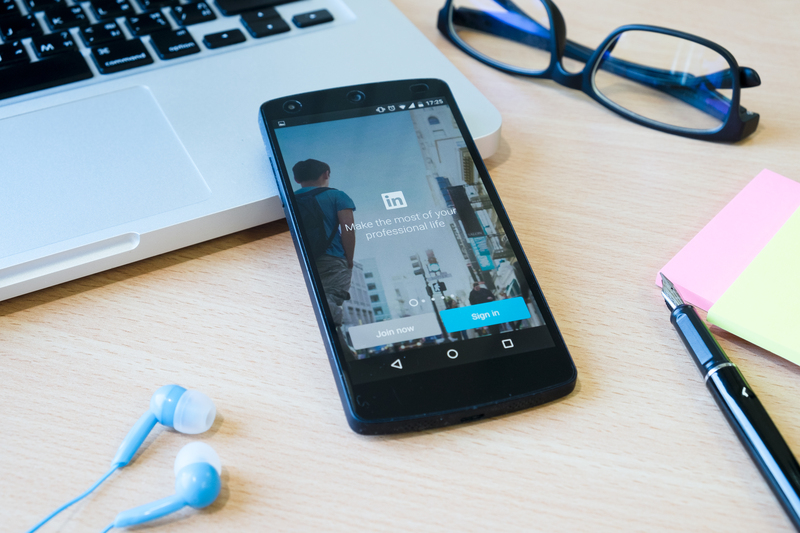 While modern technology has provided organizations with a slew of communication tools such as Skype, FaceTime and Google Hangouts that are used to recruit talent, nothing beats an in-person interaction, especially for the middle- and top-level jobs. According to a study by Degroote School of Business at McMaster University in Ontario, applicants who were interviewed using video conferencing were less likely to get the job compared to the ones who underwent in-person interviews. Often, the resumes and the cover letters are written in a very formal manner, not providing much insight into the candidate’s personality. 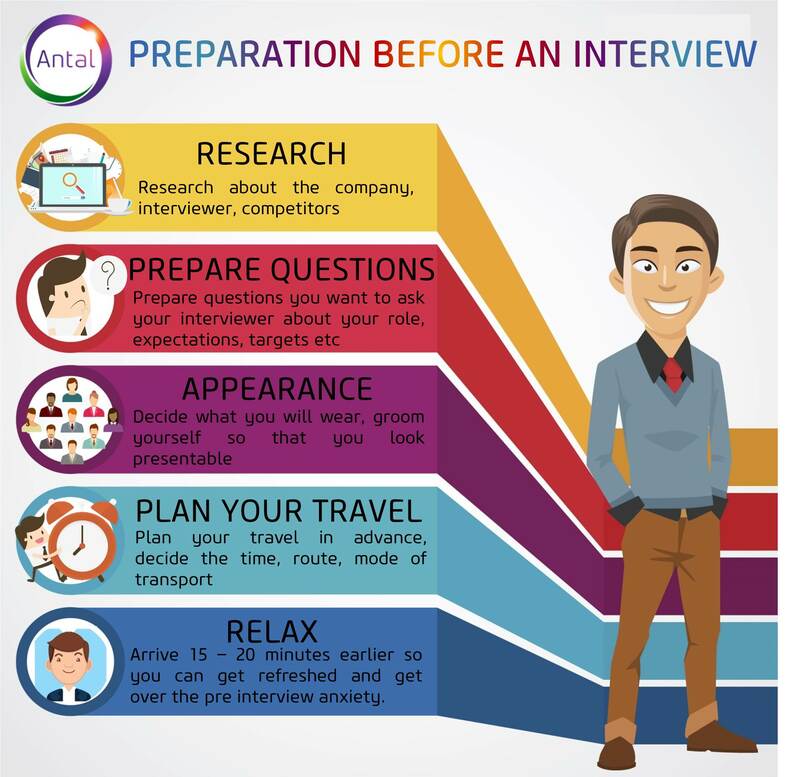 A personal Face-to-Face (F2F) interview is essential for gaining a good understanding of a candidate’s personality and motivation, which are key factors in predicting his or her success potential. Video interviews are, of course, helpful when it comes to mass screening. 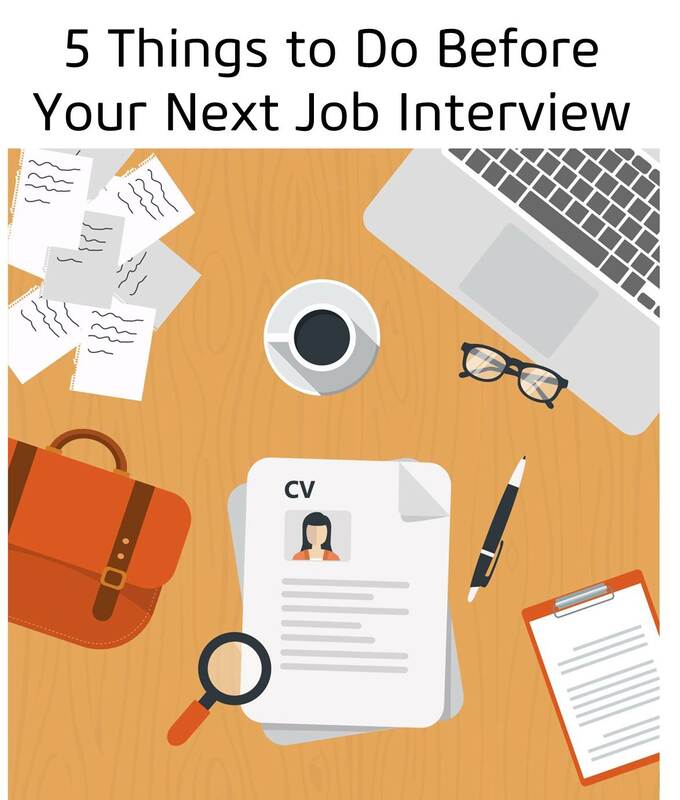 They are particularly useful in assignments where a lot of the candidates, especially remote candidates, meet the basic requirements on paper and screening down to a few finalists would require a lot of interviews. But remember, as a recruiter you still have to go through all those videos to figure out the right candidate. Besides, a not-so-great internet connection can play havoc with the process. The candidates’ tech-savviness might also influence your impression even though it may not be directly related to the job, thus putting the candidate at a disadvantage. On the flip side, it puts less pressure on the candidates and allows them to communicate in a much more open fashion. Besides, organizations don’t really save time with video interviews compared to telephone interviews or in-person interviews, except for the transportation time (on the candidate’s side). Another supposed benefit is that video interviews save recruiters the hassle as they help in sorting through the candidates faster. But, recruiters will still have to set apart time to listen and watch the interview videos. While recruiting for the middle or the top level, asking for a video interview can send a wrong signal to the candidates as it might mean that the company does not want to bother meeting people. Additionally, it is also easy to become distracted whilst on video interviews and give the interviewer the wrong impressions. For example, the temptation to watch the little box at the bottom can give interviewer the impression that you lack confidence and sincerity. Looking into the camera will create the illusion of direct eye-contact, which is always a huge contributing factor in a F2F interview. Video interviews are dehumanizing the interview process and while it may strike a chord with the millennial generation who have grown up with such applications, many mid and senior-level professionals still prefer the human touch. Cyberspace is a non-committed area of reality where you only have the facts and figures to guide you. People can be any kind of persona there and not show their true, authentic side. It works the other way too. When a candidate comes to your office, they too get an impression of you. How does the place look? Is the environment modern and clean? Does it look like it has a conducive atmosphere for reaching excellence? Bring in the candidates and give them the tour of the office, take them through multiple rounds and maybe a lunch. This would allow for multiple opinions on the candidate formed by various colleagues and provides a more wholesome picture about whether the candidate will be the right fit for the company. F2F interviews allow for more in-depth data collection and comprehensive understanding and gives the interviewer more room to probe for explanation of responses. It allows the candidate to build a rapport with the interviewer, which will in turn help the latter pick up body language cues and facial expressions. This is more difficult in a video interview. An in-person interview is the best form of screening for the final decision-making round, particularly for the mid- and senior levels because as a recruiter you want the candidate to have the right culture fit. The DeGroote researchers found that candidates who were interviewed via video conferencing were rated lower by interviewers and were less likely to be recommended for hiring. Interestingly, even candidates rated their interviewers as less attractive, personable, trustworthy and competent. F2F also makes it easier for the candidate to seek more answers to their queries or clarify questions that seemed confusing. Interviewers are able to connect with the candidates and show more empathy. When the candidates feel understood, they let their guard down, open up and share emotions. One of the oldest forms of market research, F2F still holds good in this age of advanced technologies simply because there are inherent aspects, features and possibilities in a F2F interview that cannot be captured or replicated by any other method. That is why it is vital the talent acquisition function doesn’t lose the human touch. Recruitment, after all, is about finding the right person for the job who will be dependent on human relationships and intuition. At Antal International, we believe that enjoying the best of both worlds is key to successful talent acquisition. Whatever the reasons were for wanting to change jobs, you would have analyzed them and made finally made the decision to make a move to your next career opportunity. However when you plan to resign from your current job, you must be prepared to resist powerful, persuasive tactics which your employer can use to change your mind. Your employer might lure you with more money, a promotion, or better benefits, and you might consider saying “Okay!” But is it a good idea??? 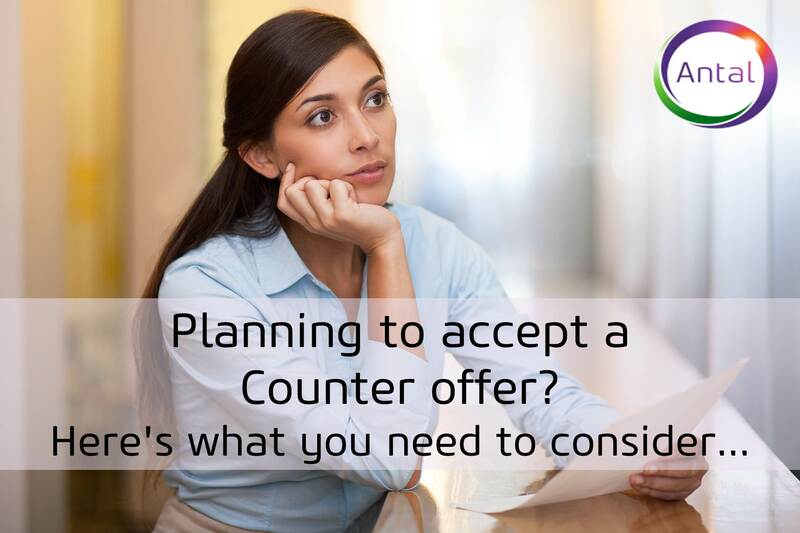 Here are a few stats from 2 surveys Antal conducted on Counter Offers. In the first survey, Antal consultants spoke to those professionals who, after accepting the offer, went to resign with their current employers, were counter offered they accepted and the consequences they faced. In the second survey, Antal Consultants spoke to HR Managers who have counter offered their employees to retain them. However, this is done to buy out some time to hire a replacement or very rarely it count be to retain the employee since certain skill sets are hard to find. 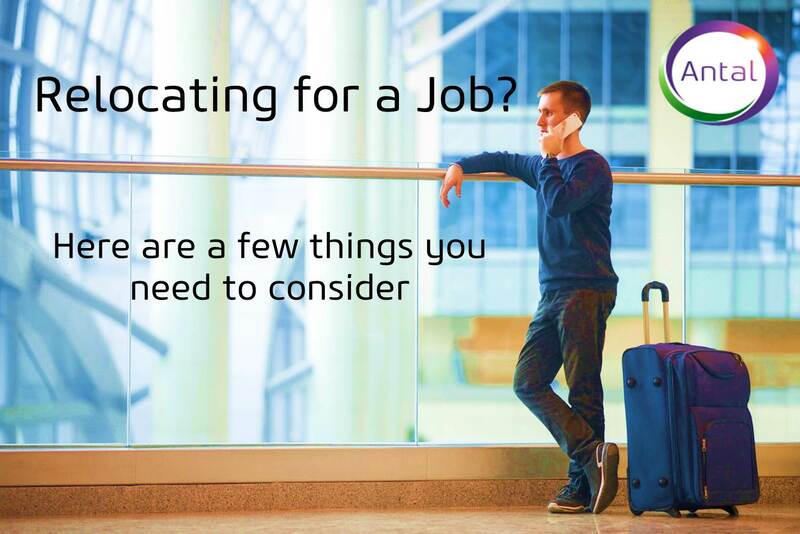 There are many factors that one needs to consider before looking for a job change or accepting a new job offer particularly when you have to relocate to a different city or country. Many a times candidates make these decision in haste or simply by being blinded by the five or six-figure salary that is being offered, but those numbers can be deceiving. There are many factors like cost of living, lifestyle, social support, education etc that one needs to consider. In a situation when you’re relocating for a job it’s not just your decision but also a decision that you must make with your spouse, family. 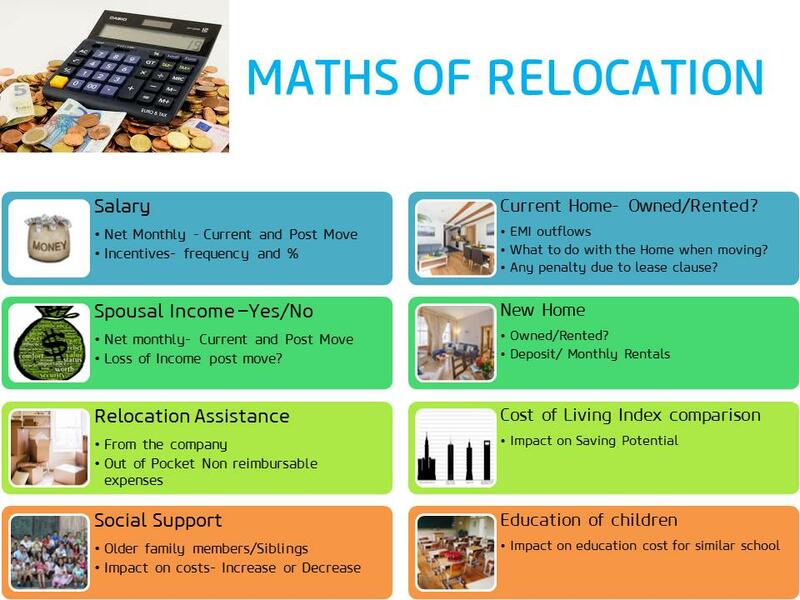 Inspite of the salary hikes that come with relocation the reality is a little more complicated. Here are 8 factors you and your spouse/parents need to consider before you relocate for a new job. Salary: Negotiate your salary in such a way that you will not only be happy with the raise you get, but also comfortably cover the living expenses in the new city. Find out if any of your moving expenditure is tax deductible. Spousal Income: Finding employment for the relocating employee’s spouse or partner can be difficult. It will be a while before they can find a job in the new city and you need to ensure that you have enough buffer to tide over financial difficulties until you do so. Relocation Assistance: Moving homes is often a painful, messy and costly ordeal. Most companies offer relocation assistance to employees. Make sure your new job has this or at least ensure that your new salary will be able to cover for the expenses. If your employer doesn’t offer relocation assistance, ask for it. Social Support: Moving to a newer city often means the lack of social support initially. For one, it could mean that your parents or spouse will be left back in the old city until you figure out if they should move with you too. Look up old friends and acquaintances through your contacts or Facebook and ask them out for coffee or lunch. Current Home: If you have been living in a rented place, then give the owner a heads-up of when you are planning to move. If the move is going to be sudden, the owners might ask you to cough up like two month’s rent. If you own the house, paying EMIs for your home and rent in the city can be daunting. Then, do you give it out on rent or get a caretaker to maintain the house until you get back? New Home: Explore the city and learn about its neighbourhoods. Before you find a place to live in, find out which areas are residential or commercial, are these areas dangerous and do they have the kind of facilities that you are looking for? Does the neighbourhood you are eyeing have a good smattering of grocery shops, schools, clinics, hospitals and malls? Cost of Living Index Comparison: It is important to know how much you are going to spend in the new city so research housing, transport, healthcare and food prices in order to create a realistic budget. Is there public transport? Can you walk to your workplace or do you need a car? Calculate how much your new salary will affect your daily budget and your ability to save. Education of children: One of the first things you need to check out before moving to a new city is about what kind of schools are present in the city and their distance from your new home.